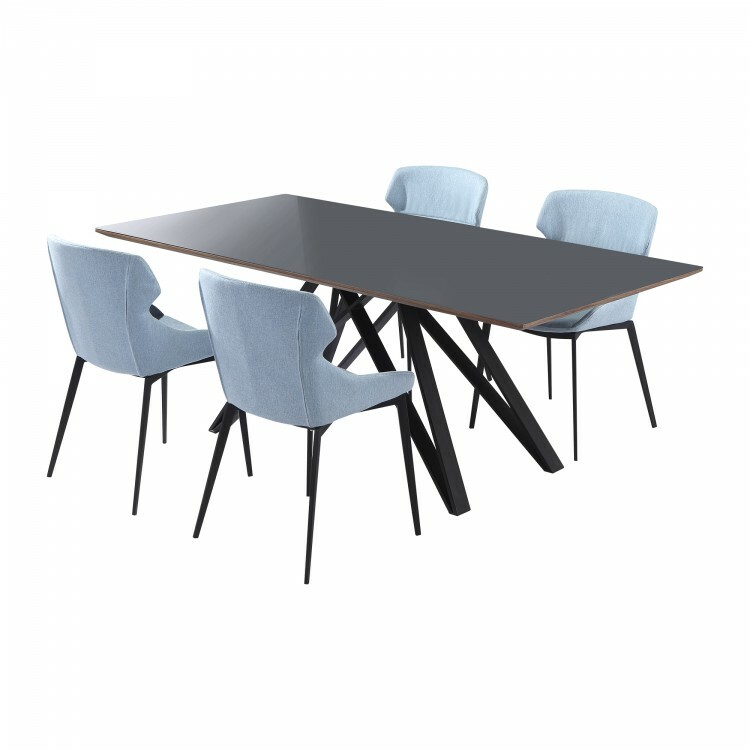 Description: The Armen Living Urbino and Kenna modern dining set is a brilliant grouping of vibrant, yet inviting pieces that your guests are certain to enjoy. 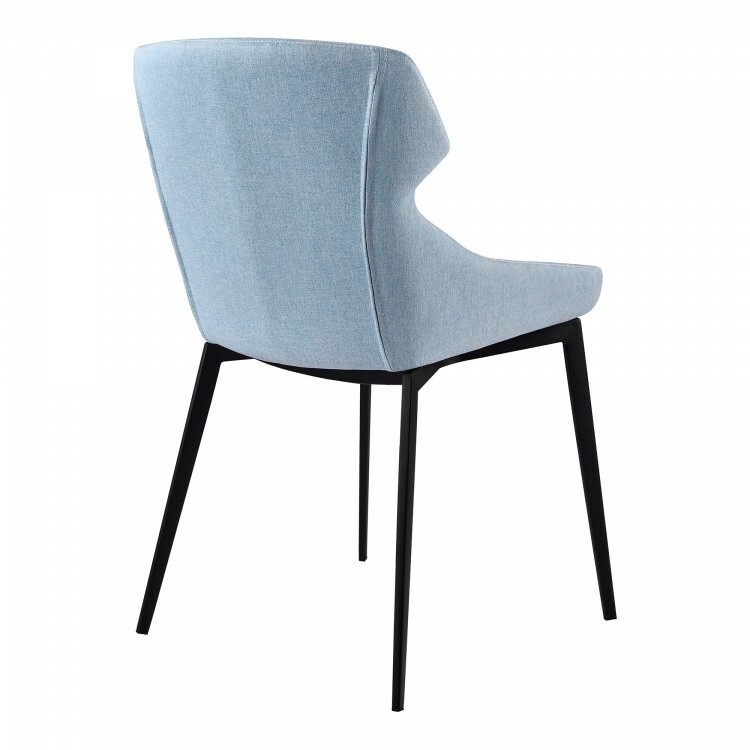 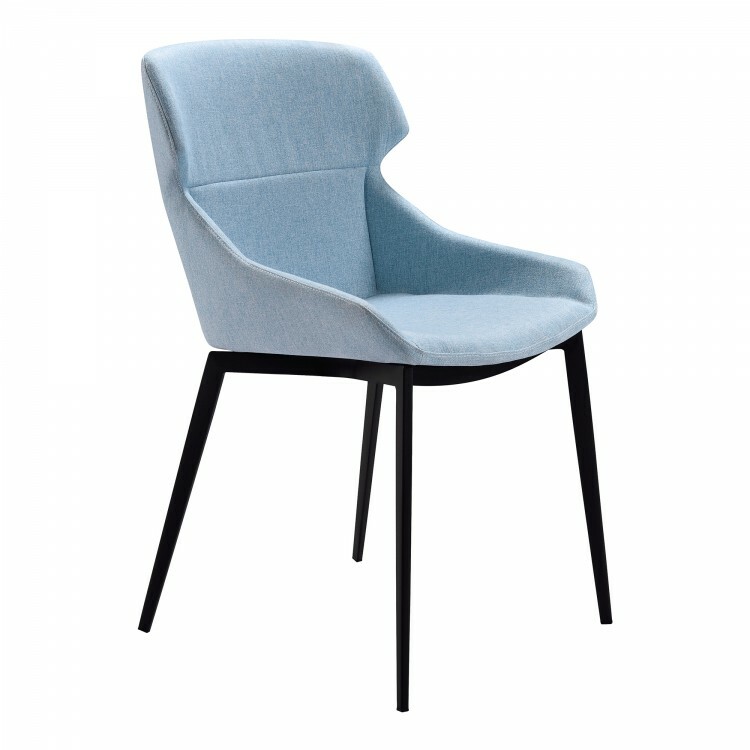 The sleek, Matte Black Metal finished Urbino finds its match in the calm of the Kenna side chair's blue fabric upholstery. The Urbino's beautiful dark grey and walnut top brilliantly plays with the blue fabric, creating a serene and inviting atmosphere. 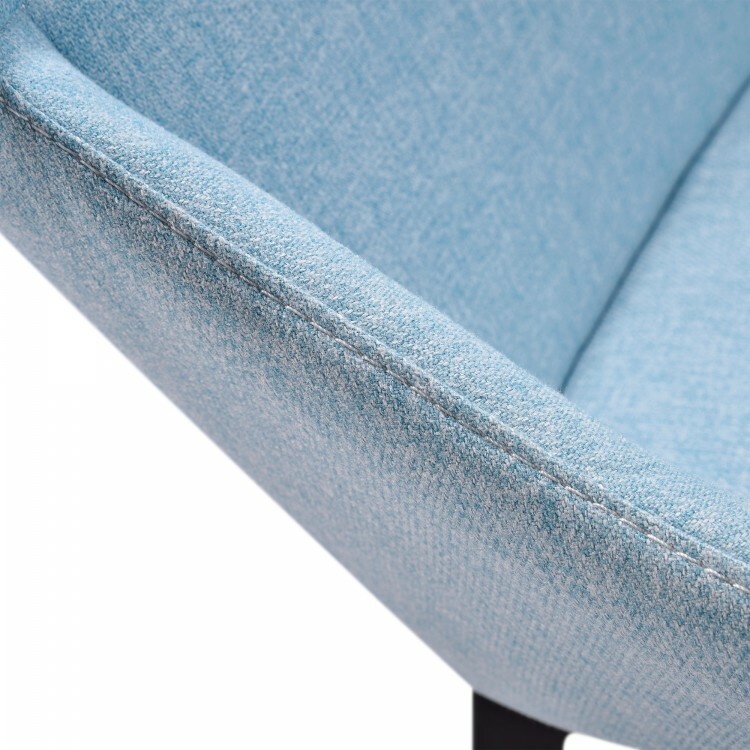 The beauty of this pairing lies in the subtle interplay of soft and harsh colors. 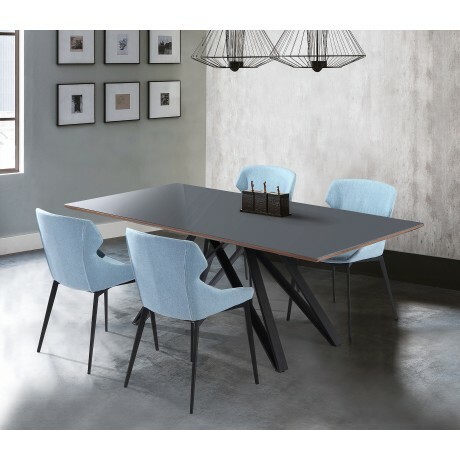 The Urbino/Kenna is practical, yet highly appealing, making it the ideal combination for any contemporary dining room.